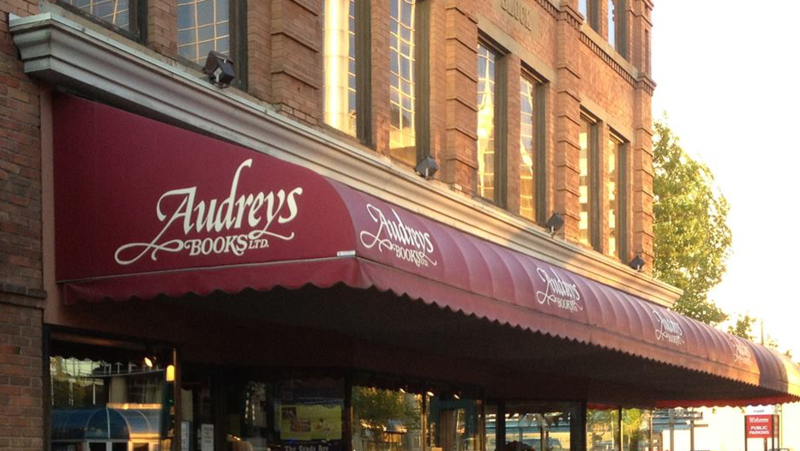 Incorporated in 1975, Audreys Books Ltd. traces its roots to the 1956 opening of Mel Hurtig’s first bookstore, and Audreys is proud to celebrate this link to the past as Edmonton's Oldest Independent Bookstore. Through our numerous in-store author readings & signings, as well as hosting touring speakers & feature authors in partnership with local venues, we continually strive to create environments for Edmonton’s literary community that connect local and visiting writers with readers and book lovers. Audreys endeavours to provide an authentic bookstore experience, with our staff of knowledgeable and dedicated individuals who can always offer enthusiastic, personalized recommendations. We stock a curated selection of the best & most interesting books, and offer a special order service for those elusive titles! You'll find great value every day at Audreys, with our 25% off all Globe & Mail bestsellers, savings for Audreys Book Club members, and great bargain-priced finds from our Lemonade Stand. Includes Junior, Intermediate and Senior categories.